Still trying to calculate BAS on a spreadsheet or manually? CMB Bendigo Bookkeeping services provides an accurate summary of the GST you need to pay or claim. CMB Bookkeeping services can provide this on either a quarterly, monthly or annual basis. We can use Accounting Packages such as MYOB, QuickBooks/Reckon or Xero on our computers, online, or use your copy on your equipment. Either way you won’t need to be concerned about this onerous exercise each time you need to report to the ATO. Your activity statement is personalised to your business and is based on your GST registration details. It is important that you report on the form that the ATO send you. The ATO will send it to you with sufficient time for you to complete it before you need to lodge it. Alternatively CMB Bookkeeping Services can add your details to its online ATO Portal and can lodge your BAS electronically each reporting period. We cater to small and medium enterprises and have clients in the Electrical, Plumbing, Restaurant, Marketing, Sales, Internet and Digital workspace. We can tailor a Chart of Accounts to suit any industry enabling accurate BAS & Financial Reporting. 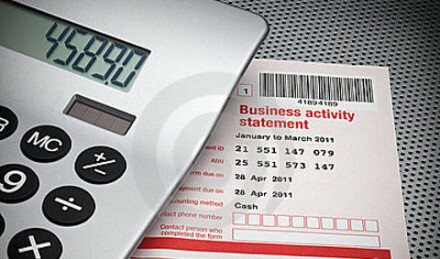 A BAS summary is provided to every client and summarises all of the above with the net payment or refund required. No more messy spreadsheets to do the calculations! Your accountant will save time and you will save a lot of money by not having to do these tasks. Your accountant can then spend more time with you on Financial and Taxation advice. Contact us for your Bendigo Bookkeeper needs and/or see our Monthly Bookkeeping Packages. We are more than happy to have a no obligation chat about your business and how we can help you. CMB Services is now trading as Bendigo District Bookkeeping so please also refer to our dedicated Bookkeeping site.